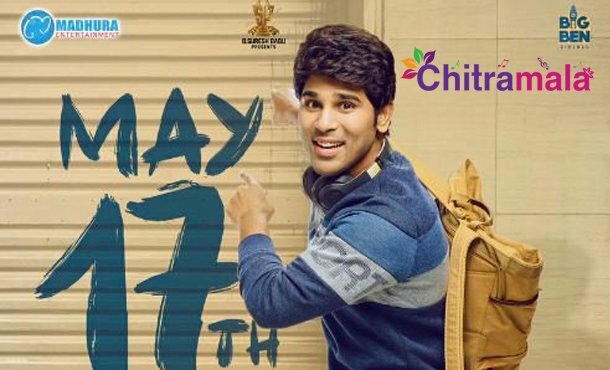 Allu Sirish is returning on to the silver screen after a gap of one year with the film ABCD (American Born Confused Desi). This film is a remake of 2014 Malayalam film of the same name. Touted to be a romantic comedy, this film chronicles the life of an NRI who finds it tough to adapt to the Indian lifestyle. The film was supposed to release on March 1st but it got delayed to the incompletion of post-production works. Now, all the works are done and the makers have officially announced that it will hit the screens on May 17. Thus, they have enough time to promote the film as well. Krishnarjuna Yuddham fame Rushkar Dhillon is playing the female lead in this film. It is being directed by Sanjeev Reddy. Madhura Sreedhar Reddy and Yash Rangineni are bankrolling this project together. Judah Sandy has composed the music.